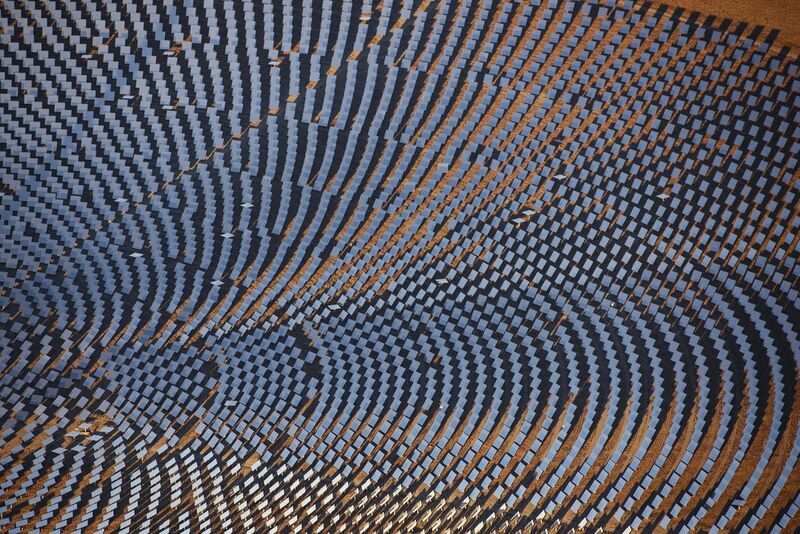 The Crescent Dunes Solar Energy Project in the vast deserts of Nevada. Aerial image (photographed from a plane). Date Uploaded: April 5, 2018, 2:47 p.m.